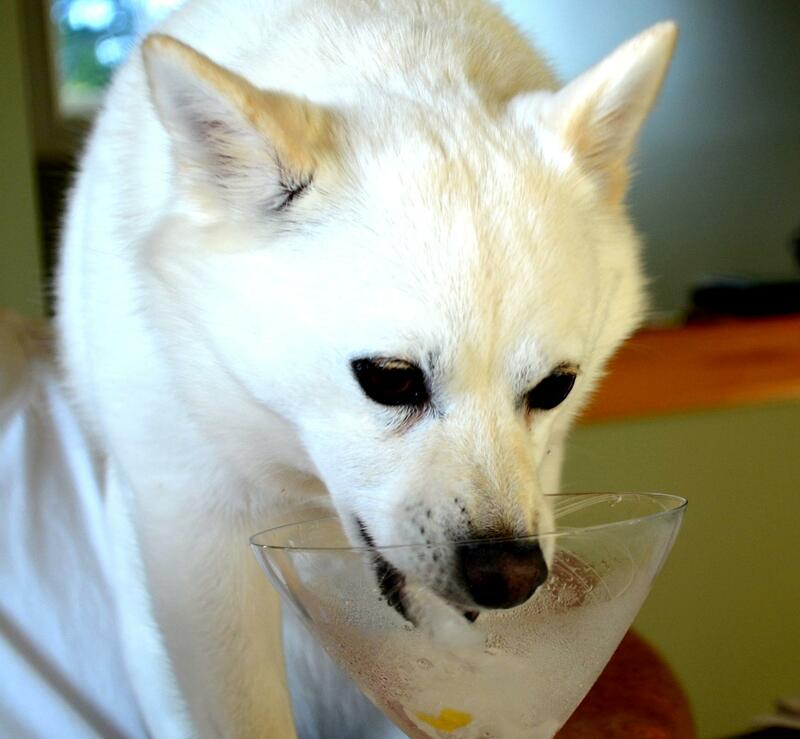 Nancy's Mya-Kai sips a frosty muttini. I'm not what you'd call a dog lover. I don't hate them or anything unless they're barking all night long or beating me at poker. But no matter what kind of "Aren't I adorable" googly-eyes any dog gives me, I figure what he's really thinking is "I wonder how that guy's leg would taste." In this week's episode I opine to Nancy that I see an increased sense of entitlement on the part of dog owners. They seem to feel that a cutesy bandana is their animal's passport to boldly go where no dog has gone before. I beg to differ. How do you feel about the increased presence of dogs in public spaces? And do you agree that no dog can ever hope to be as cool (Warning: Link contains extreme surreal content) as this? "Any man who hates babies and dogs can't be all bad."